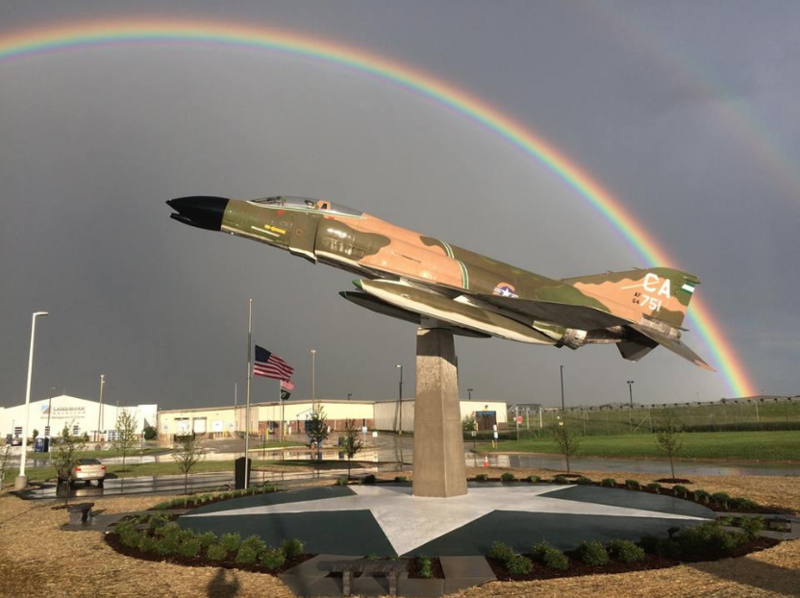 Our project, “Operation Phantom Jet” has been completed and the Sijan aircraft is now located in a more prominent location at the front of General Mitchell International Airport. Thanks to the love and support of a group of local Milwaukee contractors and financial support from across the country, this dream has become a reality. The power of faith can move mountains ~ or an F4C Phantom Jet! Our dedication took place on May 26, 2017. Please see posts below to witness the move, building the plaza itself, and the dedication that gathered hundreds to pay tribute to Capt. Sijan and all who have served. Capt. Lance P. Sijan Memorial Plaza will serve to connect to the spirit that lives inside each one of us that does not know how to quit. Dedicated to all who have served ~ their families, their communities and their nation. Click here to review the media coverage of the Memorial Plaza Dedication Ceremony. Our special thanks to the organizations and individuals who pledged their support! Dawes Rigging and Crane Rental Inc.
Wisconsin Air Force Academy Parents Assn.